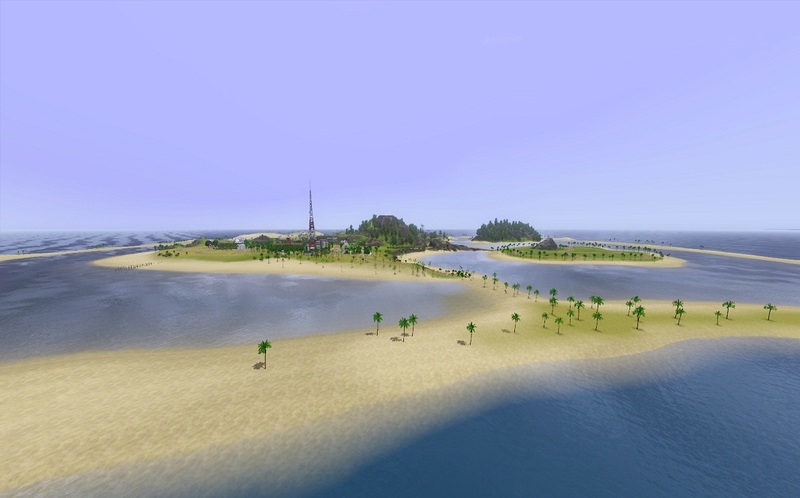 THE KINGDOM OF NIUA SIMOA for TS3 Basegame. Optional save game including a population. No CC, no store content. Does require patch 1.8 or later. Niua Simoa is a volcanic island, with one extinct volcano (Mount Totara), and one active (Mount Nikau). The island emerged out of the sea at some point less than 20,000 years ago, so it's quite a young landmass. Evenso, a rich coral reef has formed around the island since it emerged, and sand bars have built up atop that reef, forming islands (motu) around the lagoon. There is great fishing in the shallow lagoon, with a fresh water source flowing down from lava formation hills. The main township is small, and there are very few large houses. This island is a kingdom. Specifically, it is a constitutional monarchy, with the family Tapuwhai as heads of state. There is a Parliament, but its powers are tightly reigned by the royals. Public infrastructure is very poor, there is no art gallery or public pool, however foreign aid and private investment has ensured science, crime and other elements are represented in the economy. 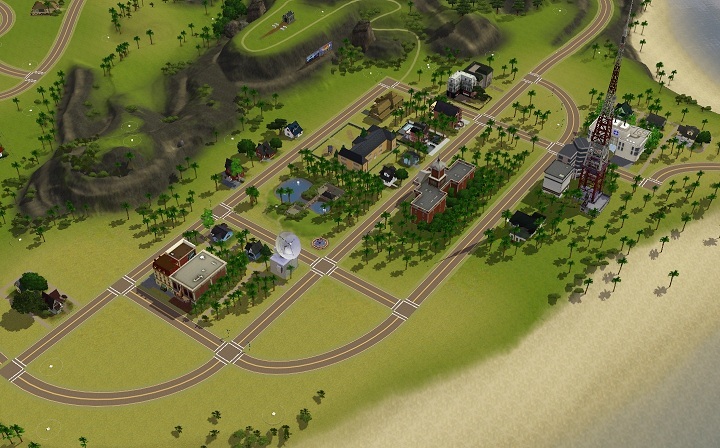 A major recent investment is the Waka Village subdivision, an attempt to lure wealthy overseas sims. 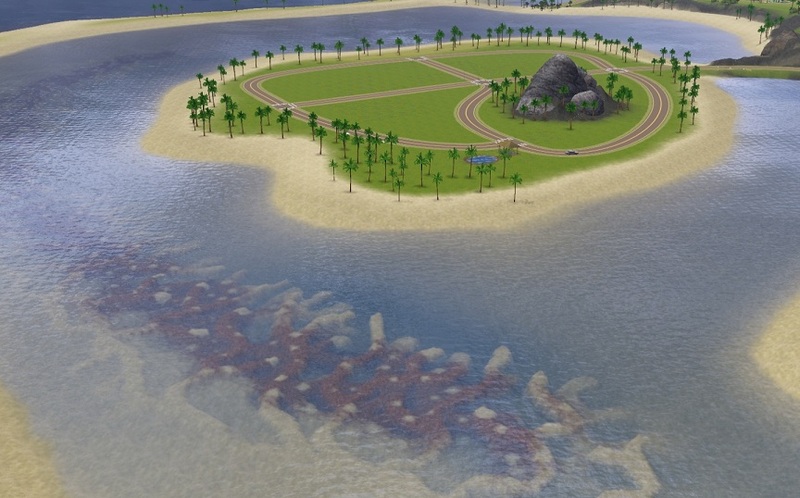 This is a sim-made island in the lagoon with lots that sell at a very hefty premium, although they provide lovely views to make up for the cost. There is a farming community on the plains between Mount Nikau and the Pancake Rocks. 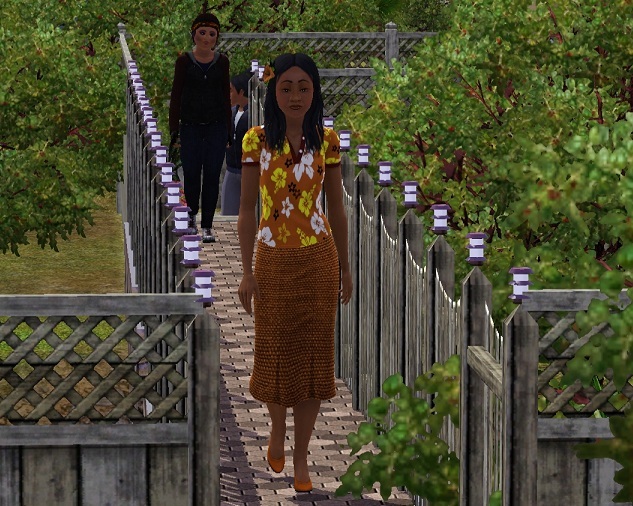 Here green-thumbed sims can stock up on fruits, veggies and seeds. Please note that if you want a death plant, you will need to find a seed for it. It does not grow on the island. Quite a few veggies are on hidden flavour lots. (Hidden Tombs are available as a functional lot type in Create A World with and without the World Adventures expansion pack). Populated Savegame - Minimal CC. 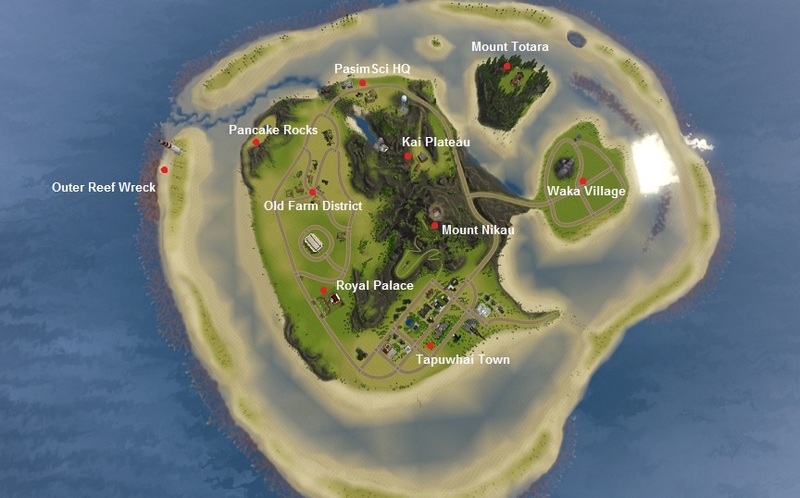 For players who want to enjoy the characters who have shaped the island's development, such as the royal Tapuwhai family, I've included a savegame with all of them. Each family is briefly profiled in the comments, so check them out and consider trialing them. 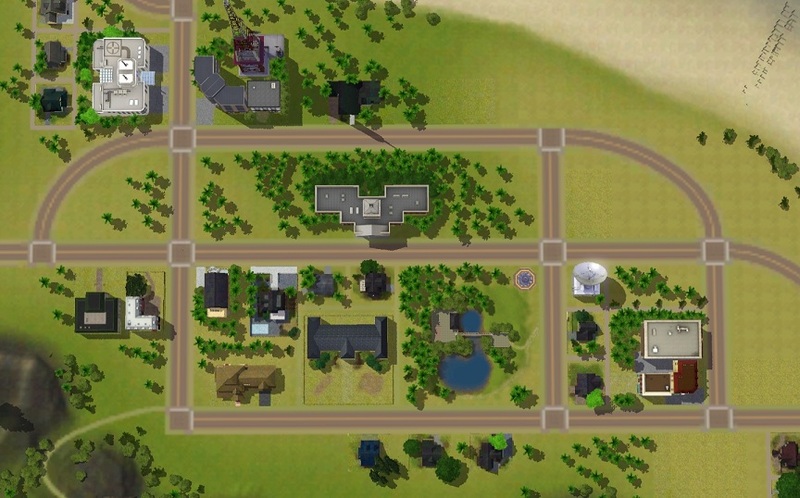 Hopefully they're at least better than Maxis-generated townies. More importantly, the extensive lore I've built around them gives a great sense of meaning and history to the island. All sims have flavour text, and so do all families. Their family trees are revealing, and there are ghosts in the cemetery (and elsewhere). Drop your own sims in the midst of another culture, and transform it from there as you see fit! - Awesome Mod sliders from MATY. - HP's "Custard" Anti-Puddingface Texture Replacer. - HP's Increased Texture Detail & Shine - TS3 Skin Replacements (except where otherwise noted). - TummyZa's reblended Aikea skin for male body and face. Like the body-hair. Pity 'bout those excessive abs. For instructions on where to place the save game see the Installation tab. Spawners: All the basegame spawners are available, except for some seed spawners. All the missing seeds, however, can be found as plants on community lots. All the spawners are accessible, but players with WA have access to one of two additional rare spawners that are only reachable by zenoporting. Routing/Layers: Sims can route almost everywhere except steep volcanic terrain, and two small islands that contain nothing except rare spawners accessible elsewhere (you can walk on these islands, but only via zenoportation). The camera routes to the very edge of the reef surrounding the islands, giving good panoramic views, without ugly horizons. The world file is divided into twenty layers. Different kinds of spawners and plant species account for most of them. I've only used 7 textures, so there's no risk I've exceeded the 8 texture limit. 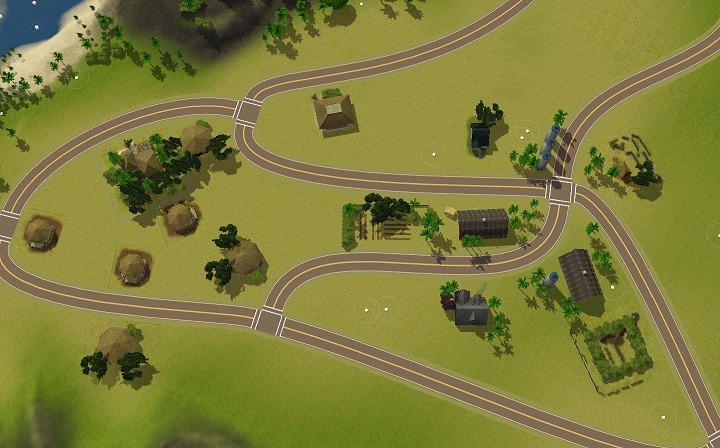 37 residential lots are entirely empty of houses or sims. All basegame rabbit holes are included except for the Military one. This is missing to reinforce the poverty and remoteness of the island. There is a military lot in the save game. There is a gym available, several parks (see comments), a fishing hole, a library, and there are several hidden lots as well. Hidden lots, surprisingly, don't require WA. Most of the housing is from plasticbox's Wee Barnoid series. All of these are linked to in the comments, you can see detailed floor plans at the links. Some of these have been adapted to the terrain, but the floor plans all remain the same. All original lots are profiled in the comments. - Medium to low graphics cards will not display underwater terrain, so you won't see the reefs. - Two sims are missing a trait due to originally having WA traits. - There is a typo in one of the ghosts' flavour texts, but you won't see this unless you resurrect him. - Photos taken in Niua Simoa declared themselves taken in "**** Niua Simoa ****". - There is some footpath distortion beside 1d Hospital Street that I missed. This is repaired in the upcoming WA version. It is a minor, visual glitch visible only when zoomed close in on that lot. Apologies. The whole MTS community, really. You've been a massive help to me in my first ever sims project (a massive one, at that). In particular, thanks to HP, Bakafox, JM Pescado, twallan, plasticbox, I'mSimalicious, tomvanroosmalen, Flabaliki, save_the_whales, Simmiller, NekoCat, Srikandi, cookniro and any others that I forget. - Download the four individual rar files entitled kiwitea_NiuaSimoa_basegame.partX.rar to the same folder. You may need to remove the MTS-generated numbers from the start of each file for this to work. Use the filename above as a reference for what the files should look like prior to unzipping. - Using a program such as WinRAR, extract the file kiwitea_NiuaSimoa_basegame.part1.rar. This will also extract the other related rar files and leave you with one working Simspack. - Download the two rar files entitled kiwitea_NiuaSimoaPopulation.partX.rar to the same directory. - Using a program such as WinRAR, extract the file kiwitea_NiuaSimoaPopulation.part1.rar. This will also extract the other related rar files and leave you with one Sims 3 save folder entitled Niua Simoa + Population. - See the installation instructions for where to place this folder. - Once extracted, double click on the resulting simspack. The Sims3 launcher will install the world for you. - Move the extracted save folder to Documents>Electronics Arts>The Sims 3>Saves. 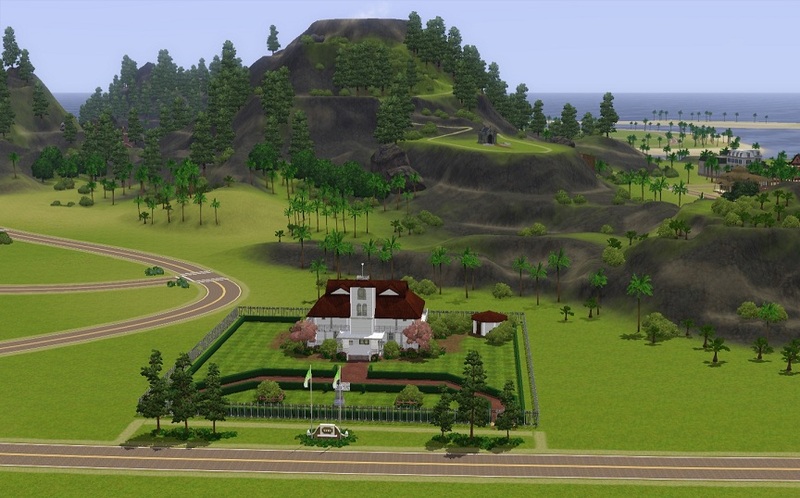 - The save game should appear among your other saves when you open The Sims 3.